Twin Cities Daily Photo: We've Got Snow, Yes We do, We've Got Snow, How Bout You? We've Got Snow, Yes We do, We've Got Snow, How Bout You? 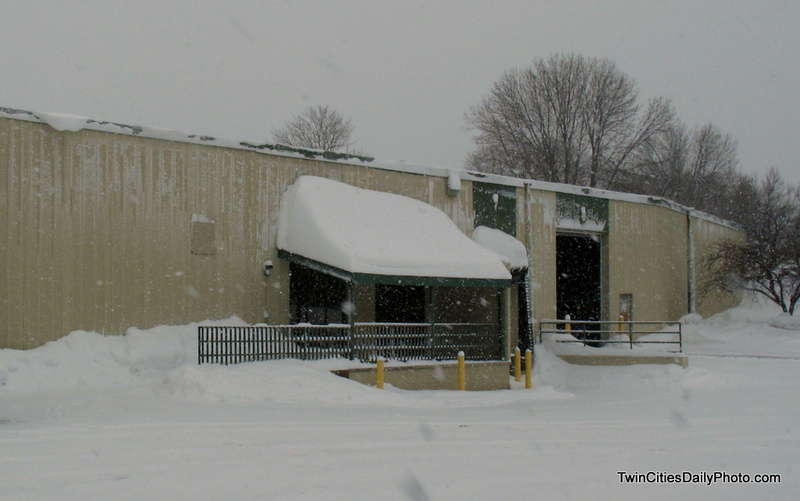 So yeah, we also have some snow here in the Twin Cities. Nothing unusual like those states on the East Coast are getting right now. We're prepared for this type of weather. We have plows that move the snow off of the roads. We have trucks that spread salt on the roads to melt what the plows couldn't remove. We don't usually shut the state down during 97% of our snow storms. Blizzard conditions, yes....three day snow storms without blizzard conditions, not a chance! That right, this current snowstorm started falling Sunday afternoon. It continued through the night, all day Monday and it's now Tuesday and yes, it is still snowing. 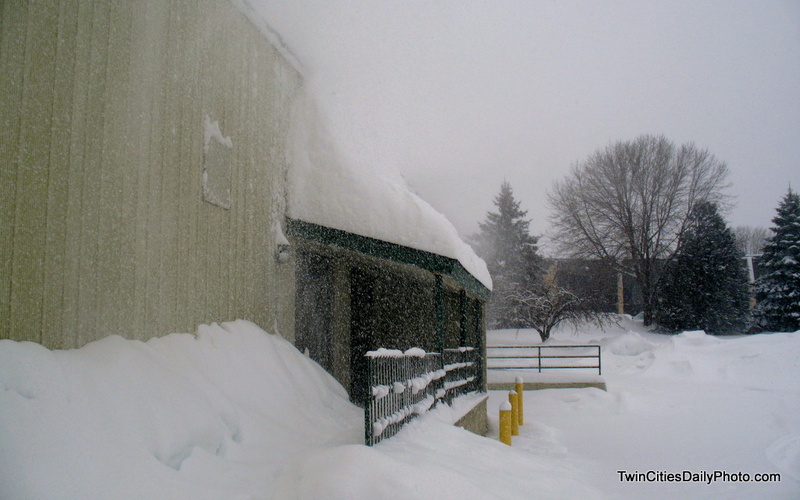 When I made it to work Monday morning, I noticed the snow was piling up on the roof entrance to the back building. The height of snow surprised me to say the least. Later in the afternoon, I that height had grow to the top of the roof. I tried to capture a photo as you can see below, but it was snowing so hard at the time, the snow, sky, falling snow all blended in. Trust me, the snow has reached the top of the roof.